Discover our special offers on our accommodations! 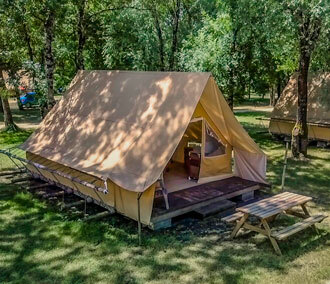 Located in the heart of the Wet Marsh, in the wild, our family campsite is an ideal starting point to visit by boat or canoe, la Venise Verte du Marais Poitevin, a unique site in Europe. From our Pier you can safely embark and travel hundreds of kilometres of navigable waterways. 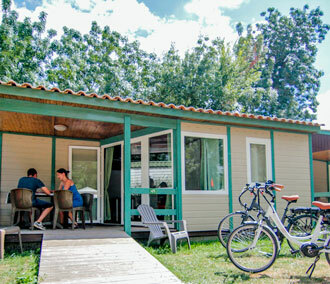 With its multiple hiking and cycling routes, [bold]flat and shaded, located in the heart of unspoilt nature, you can also choose to go on foot or by bike from the campsite, to discover a green nature. 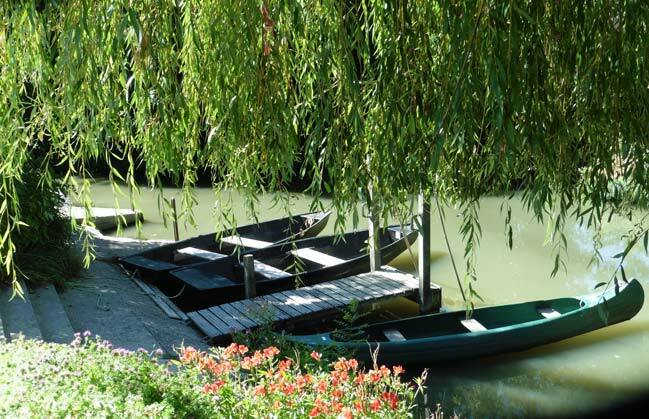 Located in the southwest of France, in New Aquitaine, the Marais Poitevin, Grand Site de France shaped by and for Man over the centuries, ensures visitors calm and rest. Thus, you can take advantage of your stay at Le Lidon to discover this site, but also the islands of Charente Maritime and the beaches of the Vendée coast. A heated swimming pool with a large 20m pool, a heated paddling pool for the youngest. Beaches for sunbathing. Go by boat or canoe directly from the campsite’s landing stage, with or without a guide. The waters of the marsh are of good quality and very fishy. 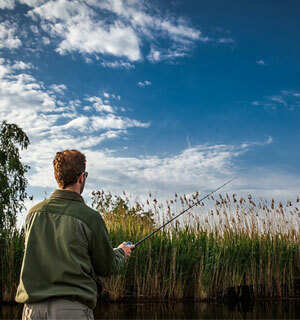 You will find solutions for fishing on a daily or weekly basis, and all the information you need on site. 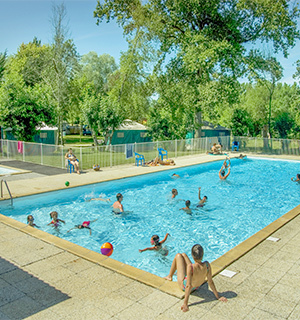 In the heart of the Marais Poitevin, located in the heart of nature and along a canal of the Venise Verte, camping Le Lidon has 25 rental units, and 115 flat, grassy, shaded pitches, and spread over more than 2 ha, largely accessible to people with reduced mobility. 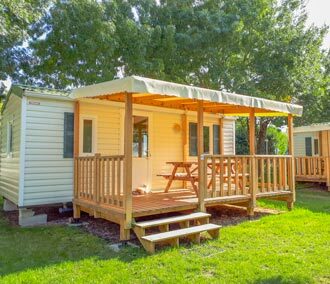 All our rentals are fully equipped, and have an outdoor picnic table, and armchairs to relax and enjoy nature to the full. Animals are accepted in addition, kept on a leash and on presentation of the updated vaccination booklet. Dogs of 1st and 2nd category are prohibited. Only one animal is allowed per rental. Visit the marsh on foot from the campsite. Visit the marsh by bike from the campsite. Visit the marsh by boat from the campsite. The Poitevin Marsh, classified as a Grand Site de France since 2010, is the second largest wetland in France. It contains a number of animal and plant species that will delight nature lovers. Shaped by Man over the centuries, this exceptional Marsh can be discovered by boat through these many canals, by bike on bicycle paths or on foot along paths lined with pollard ash trees emblematic of the Marsh. 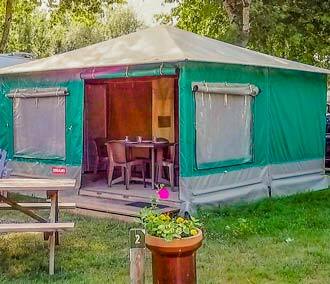 Our campsite located in the heart of the Poitevin Marsh, welcomes you for a calm and relaxing stay in a green setting. It is surrounded by the beautiful canals of the Green Venice. Our land is located in Saint Hilaire La Palud Capitale du Marais Sauvage, it is close to Coulon Capitale de La Venise Verte, La Rochelle, the Îles de Ré, Oléron, Aix, Fort Boyard, the Vendée coast and the famous Puy Du Fou and Futuroscope parks. 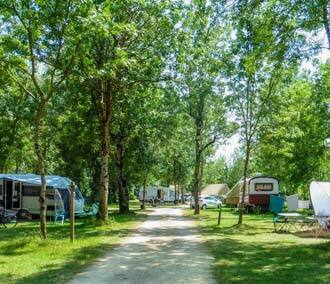 We are close to the beaches of the Vendée coast and the Charente Maritime. 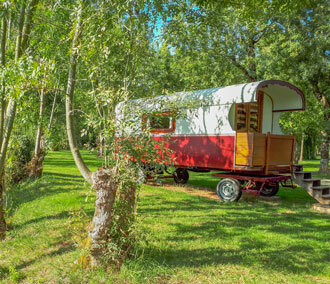 Whether you are alone, with a partner or with your family, you can discover the Poitevin Marsh from Niort to the Atlantic Coast, while staying in a privileged natural setting, in the heart of a great site in France.